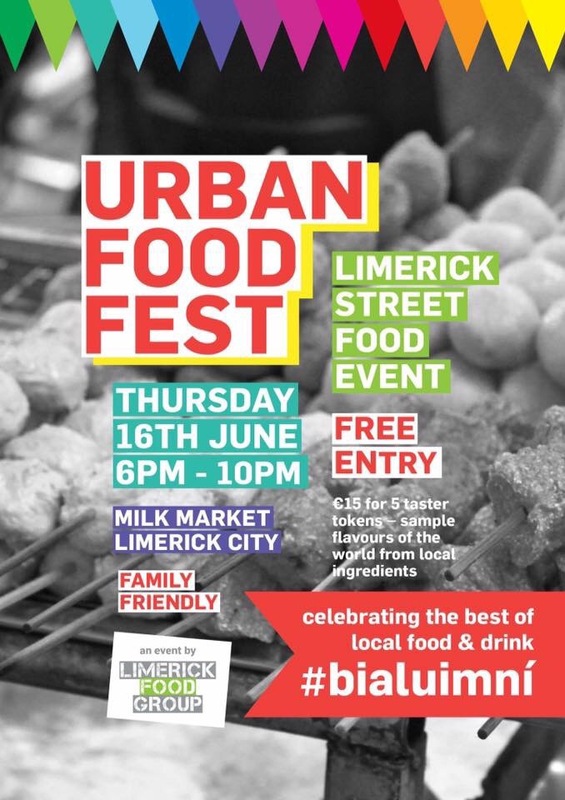 The Urban Food Festival is happening in Limerick on Thursday 16th June at Limerick Milk Market . The event which will highlight fabulous regional artisan food promises to entertain the whole family. It is organised by Bia Luimni a voluntary group who work to promote local food producers , markets and venues. All are welcome and the festivities start at 6pm.